Jeanne D`Pac -- a heartbreaking story about a family trying to reunite. Jeanne is never going to find Amadey without your help. You have to find Amadey before the monsters take him to Lowgard, which would deprive the world of Music and ruin the family. Anybody could tell that Jeanne and Amadey D`Pac made an ideal pacman family. They have been living happily and peacefully in a cozy dream house with a huge basement. Everything seemed to go really well. Amadey was a talented musician and composer. Jeanne was an athlete and a popular TV-show hostess. But this one time… the idyll was broken. It would’ve never happened if not for the cruel monsters. Earlier they have been living in the Lowest World – Lowgard, but they have been banished for insulting the Head Spirit. Tired of wandering through the gnomes’ deserted basements and mines, they have decided to deserve mercy by kidnapping Amadey and depriving the world of Music. Jeanne has returned home and found Amadey missing. She started a chase right away. Help her out before the Head Spirit gets her husband and it's too late! 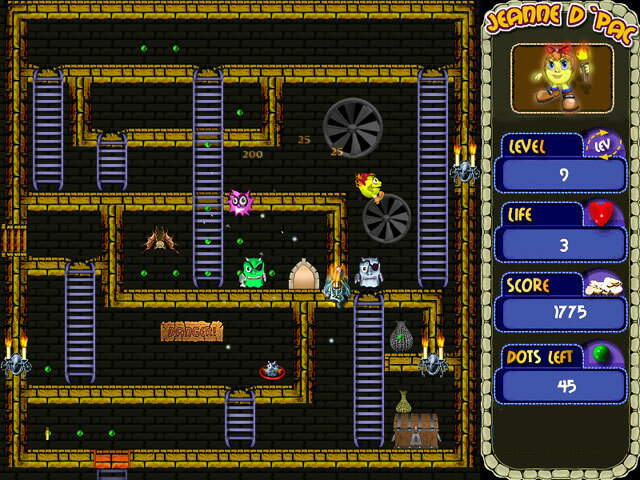 Warkanoid - Make your way through challenging levels of block-breaking mayhem in this arcade-style action game. 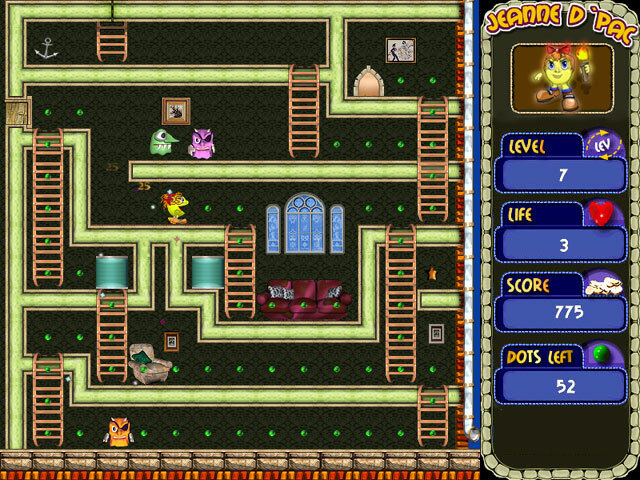 FastStone Pacman - A thrilling remake of the popular classic arcade game PacMan in the 80s. 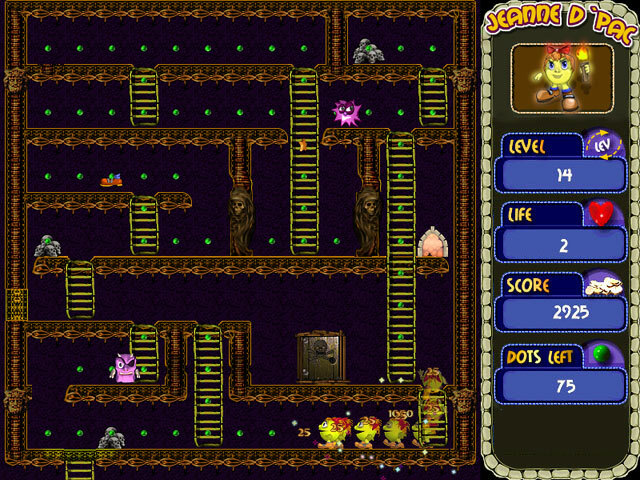 Pickman-3D Saves The Kingdom - This game joins the arcade spirit of old good Pacman, with fairy-tale story line.